I will still be posting weekly trip journals, but decided to start writing occasional gear reviews as well. I want to start with something I recently purchased that I’m kind of excited about. Actually, giddy might be more accurate, because as an adult, new gear day has replaced Christmas as the day you'll most likely hear me let out a schoolgirlish, "Eeeeeee!". I didn't take a cook stove on my last few trips, mostly to cut weight, but also because I've never been a big fan of cooking and cleaning without a modern kitchen. I want to give it another try, however, because sometimes after hiking all day, you just want a hot cooked meal. And I miss that hot cup of tea on a chilly night. 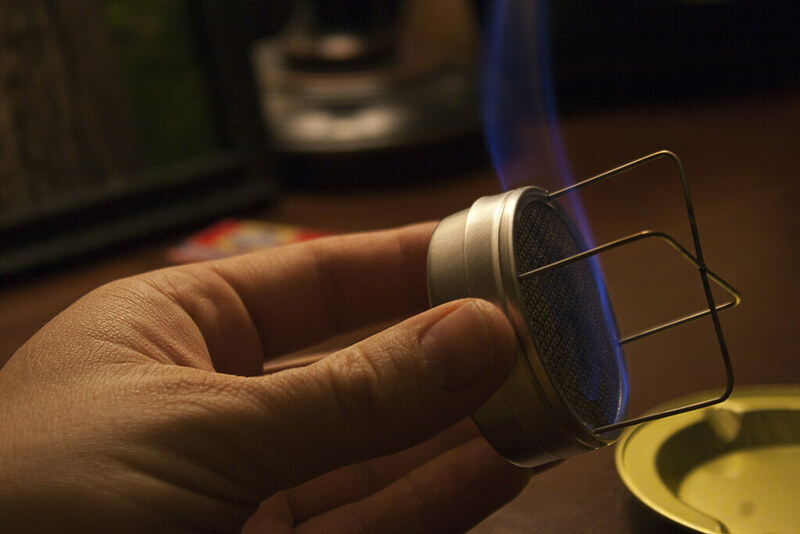 I initially planned on making my own alcohol stove, but when looking for design ideas, I saw Zelph's SS Starlyte Alcohol Stove ($17-$20), and decided that what I would create wouldn't be as good. That and, anyone who knows me would promptly agree, I really shouldn’t be making anything that involves combining alcohol and fire. This is not exactly a scientific test, but I tested it twice to get a more accurate average. Here’s what I’ve found so far. The starting temperature of the water was 60 degrees F. The air temperature outside was 55 degrees F, with a slight breeze. My altitude was about 700 feet above sea level. It took about 7 minutes and 15 seconds to bring 2 cups water, to a boiling temperature of 212 degrees F.
I used .75 ounces (22 mL) of denatured alcohol, which burned for a total of 11 minutes. I will probably pack .75 ounces of fuel per day, so for my weight estimates below, about .7 oz in weight (20g) per day. I may adjust this as I test the stove on windier/colder days and will update this post if that changes. · Ease of use. Just pour up to 1 oz. of denatured alcohol in, and touch it with a flame. however. I have heard that Heet doesn't burn as hot, so cook times may vary. · Very lightweight. No reason I can't still have my hot tea under the stars. · Quality construction and durability considering the lightweight materials. 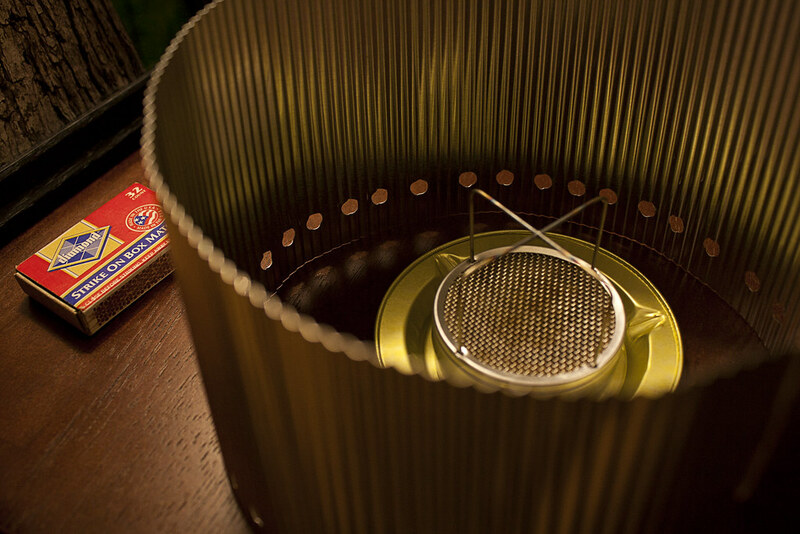 · Very small and easy to pack and setup, partially due to the integrated pot stand. 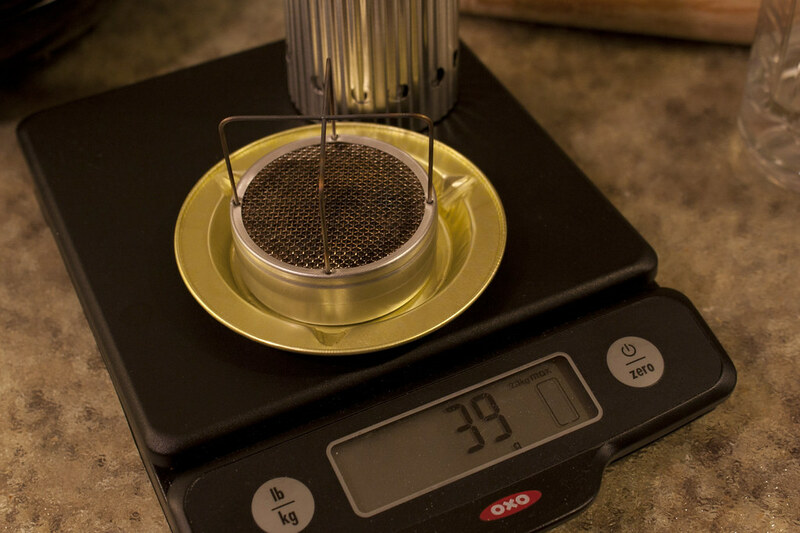 · Small pot stand diameter a bit unstable with my MSR Soloist pot, but manageable. 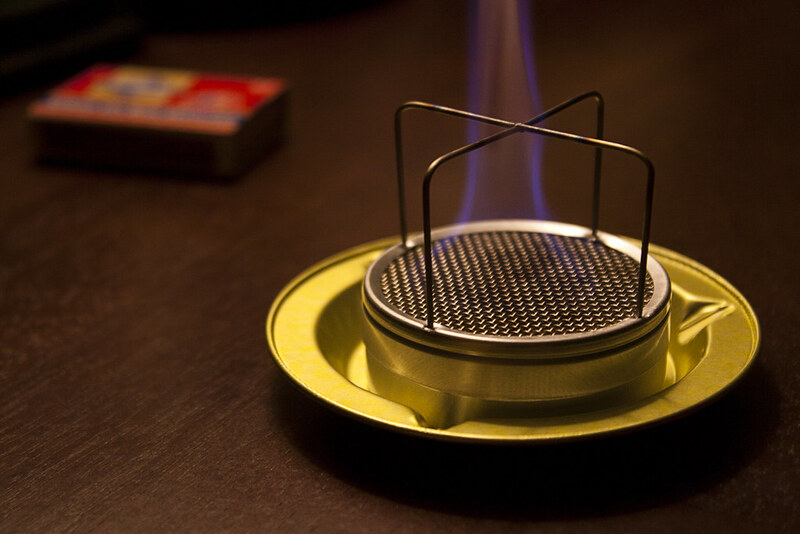 Where can I buy the Starlyte Alcohol Stove? 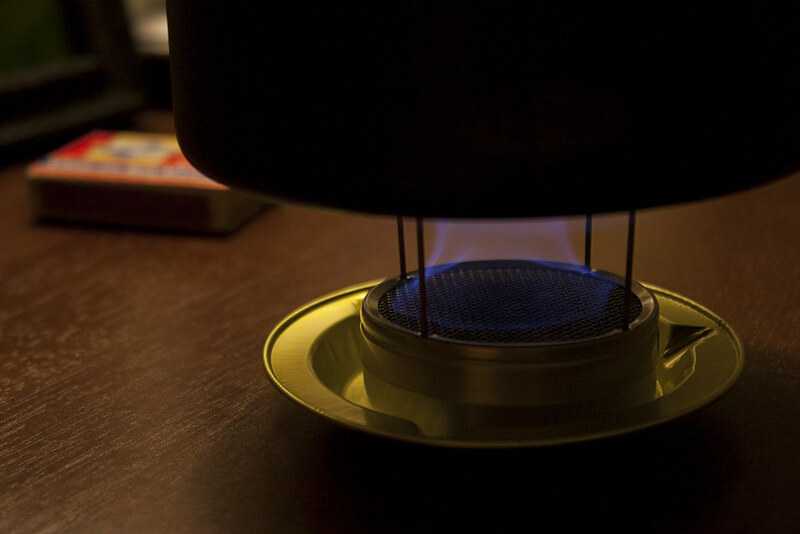 You can buy the Starlyte Alcohol Stove on Amazon. Click here to view the stove on Amazon. 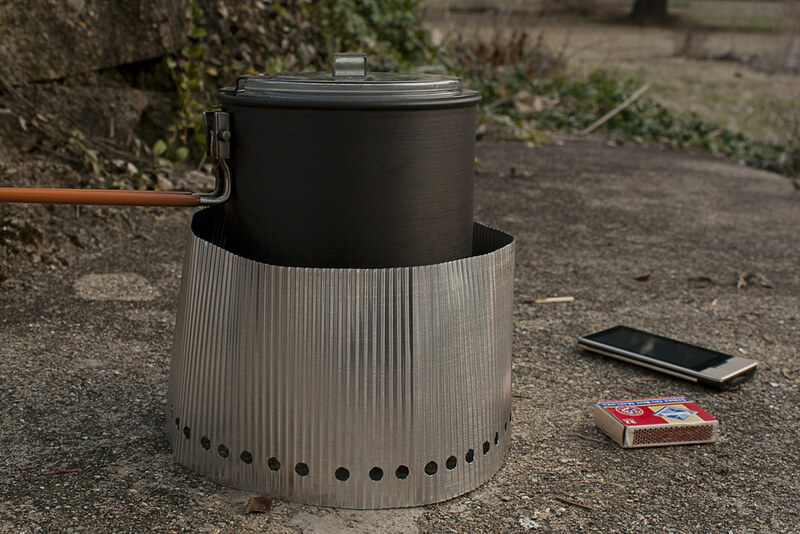 UPDATE: I have recently thru-hiked the Appalachian Trail with this stove, and it worked flawlessly time and time again. I'm still very happy with it.